The TraCorp LMS is a Software as a Service (SaaS) application for the administration, documentation, tracking, reporting and delivery of education courses or training programs. The LMS infrastructure delivers and manages instructional content, identifies and assesses individual and organizational learning or training goals, tracks the progress towards meeting those goals, and collects and presents data for supervising the learning process of organization as a whole. For classroom and webinars content, the LMS also handles registering for courses, course administration, analysis, tracking, and reporting. TraCorp shall, using its computer systems, servers and other information processing, transmission and storage systems, make TraCorp’s LMS and Customer’s associated database [the “Database”] available on demand over the Internet on a 24 hour a day, seven day a week basis, in a manner consistent with the Service Levels set forth below. TraCorp shall minimize disruptions to the availability of the LMS and Database and shall promptly restore availability in the event of any outages. TraCorp shall provide at least 48 hours advance notice to Customer in the event of any scheduled downtime and shall notify Customer immediately in the event of any unscheduled downtimes. All scheduled downtime shall be subject to Customer’s prior approval, and scheduled downtime shall occur only during off-peak hours unless otherwise agreed in writing by Customer. TraCorp shall use its best efforts to minimize any disruption, inaccessibility and/or inoperability of the LMS and Database in connection with downtime, whether scheduled or not. The LMS and the Database reside on a high-speed, internet server and in a secure firewalled environment, which is subject to an annual security audit such as SAS 70 Type II and its successor. TraCorp shall make the resulting audit reports available to Customer upon request. Customer will access the LMS database, controls and administrative functions through a standard web browser at the following URLs: www.customURL.com and customername.server.tracorp.com. All content and data stored by Customer on TraCorp’s server computers shall at all times remain the property of Customer. Hosting fees shall be billed on a monthly basis at TraCorp’s then current rates, provided, however, TraCorp provides Customer notice of any increase in such rates no less than three (3) months in advance [the “Hosting Fees”]. Customer shall pay the undisputed hosting fees as set forth on an applicable invoice in accordance with the terms of the Agreement. The LMS and Database shall be available to users a minimum of 99.5% of the time during any 24 hour period, except for mutually agreed upon scheduled downtime for purposes of maintaining, updating and/or modifying the LMS and Database or otherwise upon the request of Customer. The mean response time for server response to all accesses to the LMS and Database shall not exceed more than ten (10) seconds during any one hour period. TraCorp shall prevent unauthorized access to the system that is hosting the LMS, the Databases or other sensitive material generated from or used in conjunction with the system and TraCorp shall promptly notify Customer in writing of any known security breaches or potential security breaches. Customer’s LMS and the Database will reside in a secure firewalled environment. TraCorp will back up the database in a commercial reasonably manner. TraCorp will provide two (2) hours of free administrative and/or technical support each month from TraCorp. Emails or Help Desk tickets received outside of Office Hours will be collected, however no action can be guaranteed until the next working day or as may otherwise be agreed to in writing by Customer and TraCorp. TraCorp will accept emergency phone calls out of Office Hours to a customer support technician and best efforts will be made to answer/action the call. Customer shall classify all support requests as either a “High”, “Medium”, or “Low” priority, as determined by Customer in its sole and absolute discretion. Remote assistance will be provided in accordance with the above timescales dependent on the priority of the support request. TraCorp offers two additional levels of support: a (24 x 7) Help Desk, and daytime administrative support where we essentially act as a full time employee of your organization to manage your LMS. 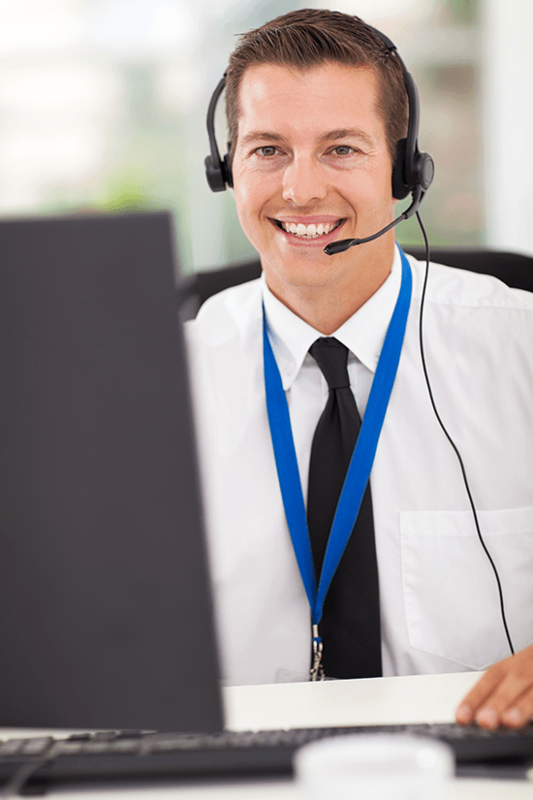 The Help Desk offers phone, chat and online trouble ticket support in English. Tier 1 support is learner centric to handle login and curriculum assignment problems. TraCorp offers services in multiple languages if required.